You begin to notice that your neck and shoulders are stiff, and before you know it, your ear hurts and you have a headache. Before you pick up the phone and make an appointment with your doctor, see your dentist first. Why? 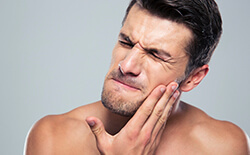 You might be experiencing one or more symptoms of temporomandibular joint disorder, commonly known as TMD. 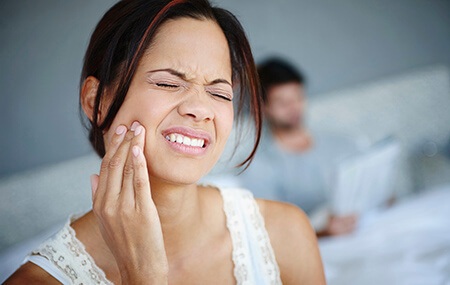 Because TMD involves the joints responsible for jaw movement and bite, effective TMJ therapy is available through your general dentist. 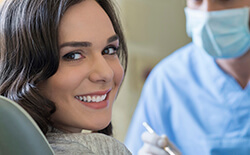 The good news is, your general dentist can use TMJ therapy to alleviate symptoms quickly and in most cases, permanently. You don’t have to continue living with the tenderness of TMJ disorder. Dr. Marracino offers TMJ therapy to provide long-term pain relief at his Texarkana dental office. Beginning with a detailed examination of your mouth and jaw, he will identify the cause of your discomfort and discuss your treatment options. From mouthguards to restorative dentistry procedures, Dr. Marracino offers a variety of TMJ therapies to make everyday life more comfortable again. 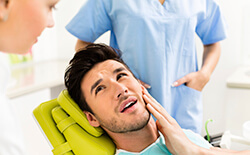 Patients suffering from TMJ therapy may benefit from Botox treatments. Botox reduces or stops unconscious muscle movements. For patients who strain their jaw joints leading to pain or reduced mobility, preventing these unconscious movements can significantly reduce strain, and over time, the decreased movements significantly reduce discomfort. The treatments are quick, and can easily be completed over a lunch break. We simply strategically inject the Botox to limit the movement of jaw muscles that may cause discomfort or strain the TMJ.